NASA's $1 billion Juno spacecraft completed its 10th high-speed trip around Jupiter on December 16. 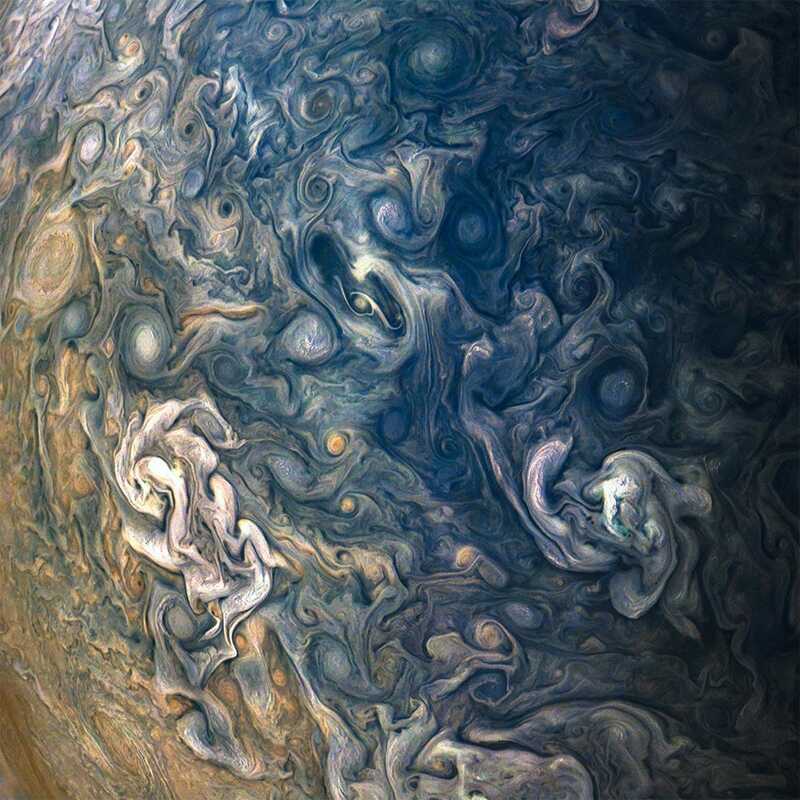 The amazing spacecraft gets relatively close to the biggest gas giant planet of our solar system and takes new photos with its JunoCam instrument roughly every 53 days, while traveling at speeds up to 130,000 mph. It can take days or sometimes weeks to receive the images, but the wait is worth it. The latest batch of photos features countless swirling, hallucinatory clouds and storms. Researchers at NASA and the Southwest Research Institute uploaded the raw image data to their websites in late December. Since then, dozens of people have processed the black-and-white files into gorgeous, calendar-ready color pictures. 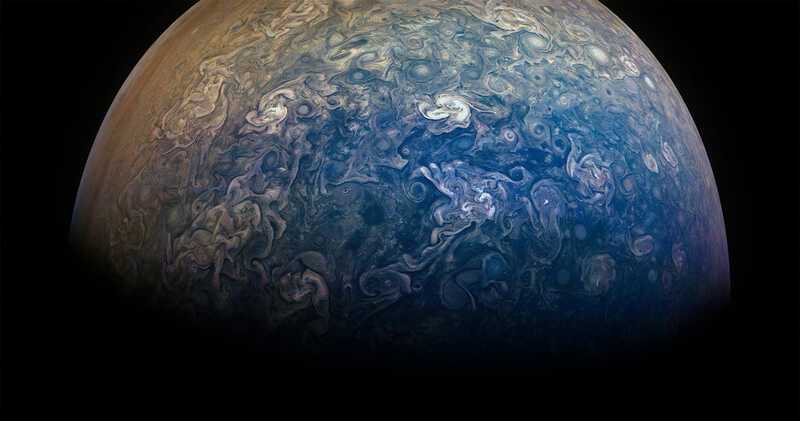 "As pretty as a planet can get, but get too close and Jupiter will END YOU," Sean Doran, a UK-based graphic artist who regularly processes NASA images, said about the new images in a tweet. 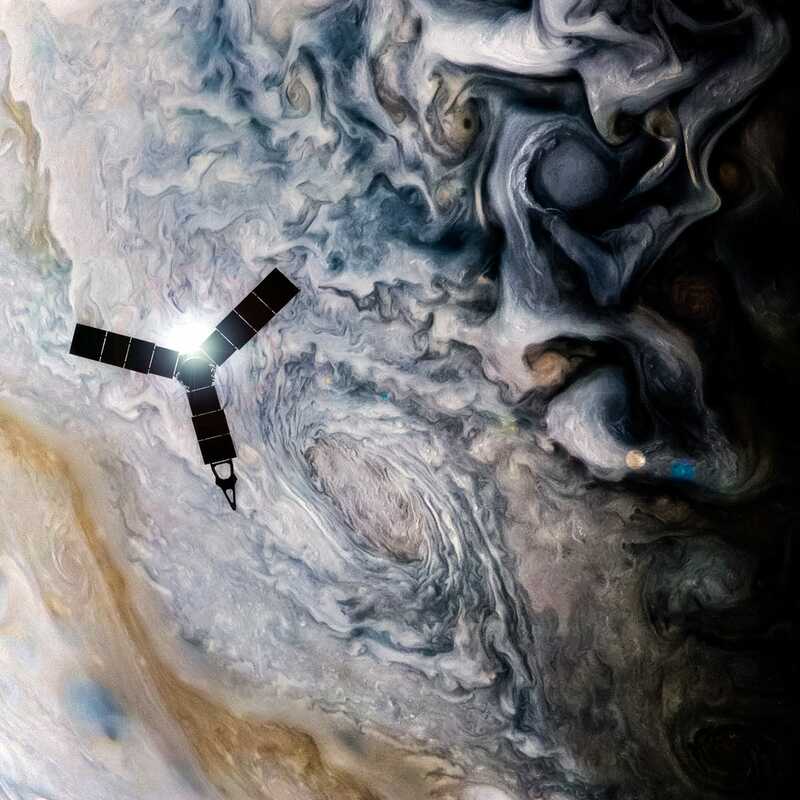 Juno's orbit takes it far beyond Jupiter — then quickly and closely around the world — to minimize exposing electronics to the planet's harsh radiation fields. 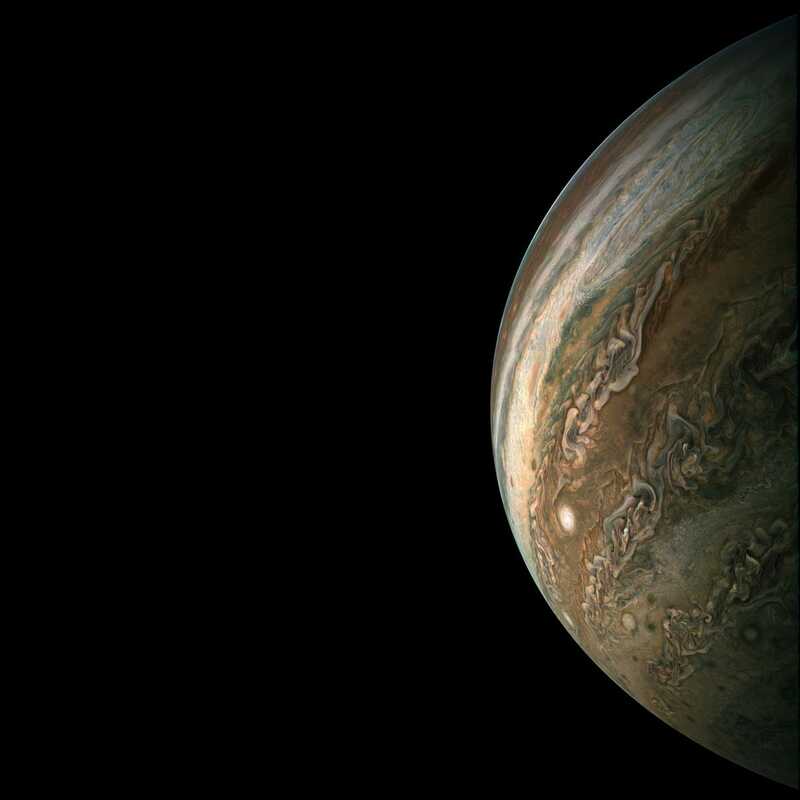 During each 53.5-day orbit, called a perijove, JunoCam records a new batch of photos. The spacecraft is the only one ever to fly above and below Jupiter's poles. It is the one awesome marvel of engineering. 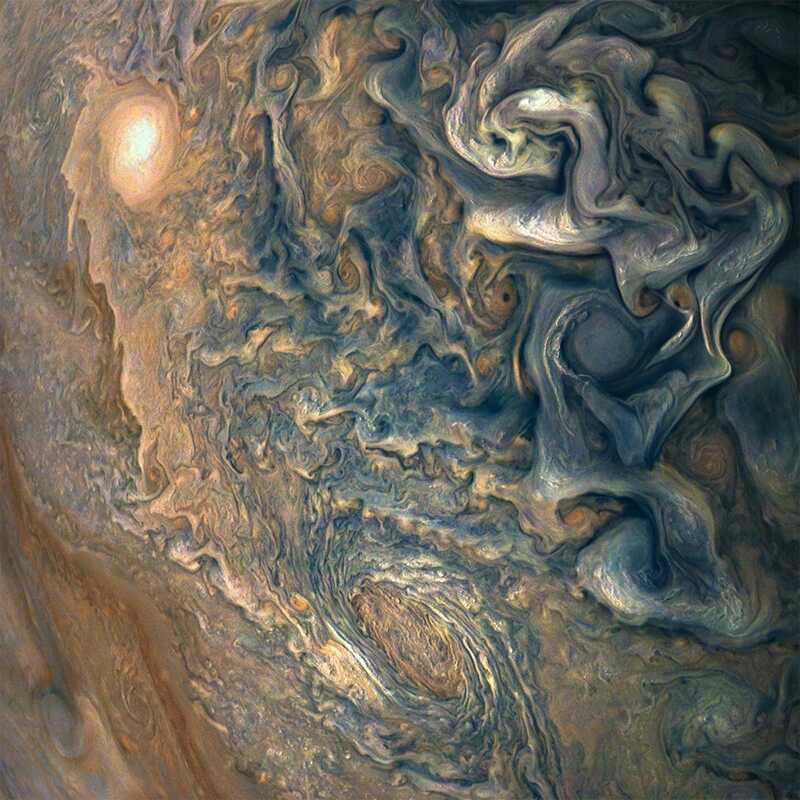 Researchers are currently trying to make sense of the gas giant's swirling mess of polar cloud formations, like these captured during Juno's tenth perijove. It is truly breathtaking. The planet's many bands of cloud groups are also a scientific puzzle. They hold many secrets about this biggest gas giant of our solar system. Reseachers are trying to solve these with the help of Juno. Some of the storms seen on Jupiter are larger than Earth's diameter. These storm are also one of the biggest mystery of this gas giant. But some fans of the spacecraft have figured out how to stitch them together into time-lapse movies. 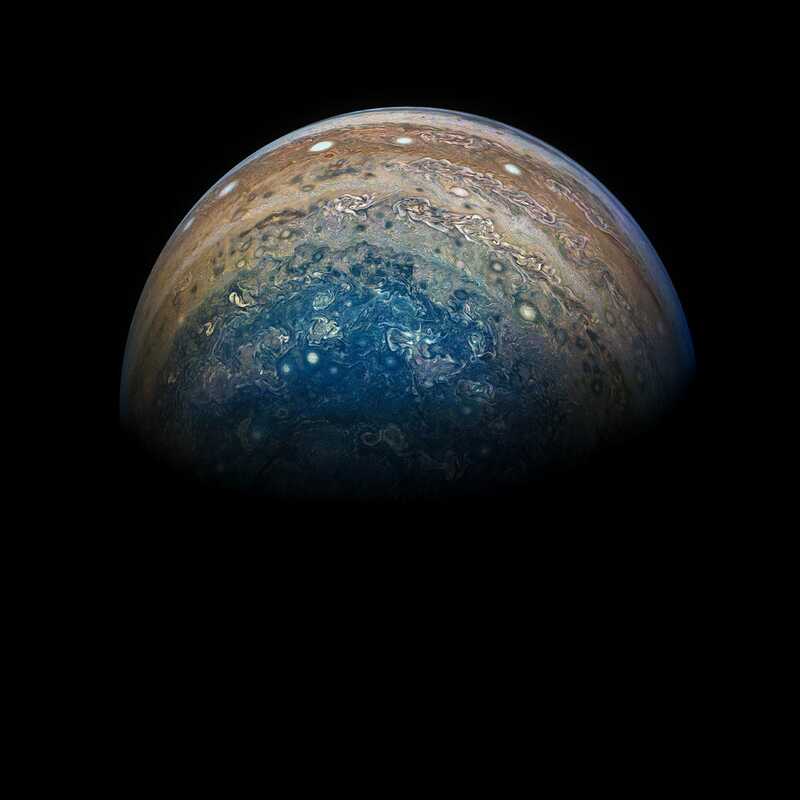 NASA expects Juno to orbit Jupiter for at least a couple more years, and continue beaming back incredible new pictures. So we are in luck and we will get to see more close up images of one of the best planets in the solar system.